Local restaurateurs came to us seeking a timeless modern design, complete with spaces to entertain and architecture that would allow them to gracefully age in place. The exterior of the house is one move—a folding white plane that provides protection from the sun while preserving the mountain views. 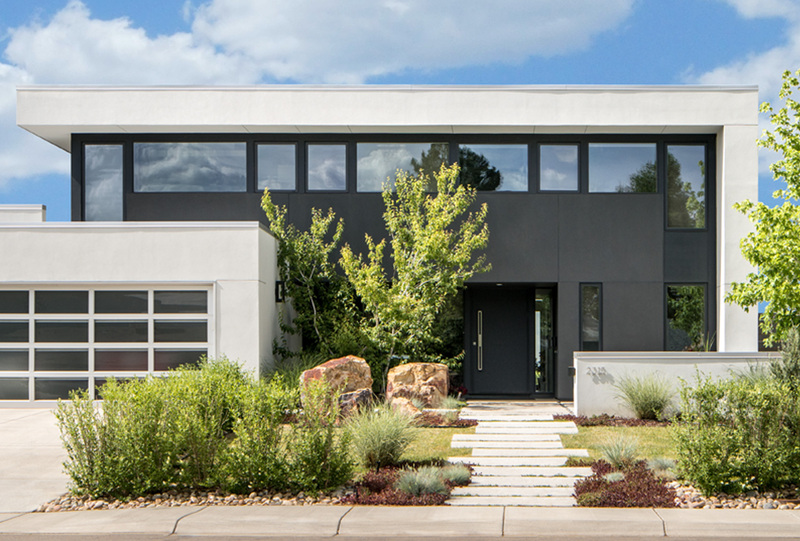 The materials are economical stucco with classic charcoal/white colors emphasizing the classic modern lines. Running just under the protective overhang are clerestory windows that simultaneously provide privacy from the street front while framing the spectacular Flatiron views from the interior. 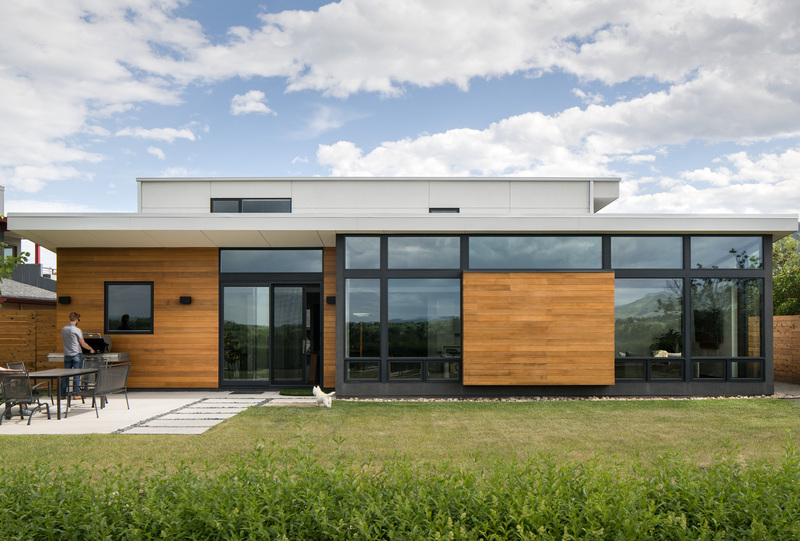 A white box (garage) plugs into the house at the ground level with a rooftop deck off of the master bedroom.